Invention is what made LTG great and is still what we do best. Our technicians and engineers analyse, simulate, measure and develop outstanding solutions for air-conditioning in all kinds of buildings, and for various uses of air in industrial processes. Thereby you as our customer with your special requirements and wishes is always standing in our main focus. Many of LTG’s products are the result of new and complex requirements of our customers and we don’t hesitate to modify them for your projects, or to question them and come up with yet more innovations. That’s because we make it our mission to achieve measurable goals, even in projects that go beyond the everyday: air handling solutions with an optimal effect – from thermal comfort and acoustics to production process quality – all at exceptional levels of energy efficiency. We keep developing for you where classic concepts stop. Set us a challenge: our experienced engineers will be glad to develop a solution within our engineering services for you that not only meets your requirements, but also gives you profitability and secures your investment. LTG’s highly commited and qualified engineers hold numerous outstanding and significantly important patents. More about our innovations concerning innovative air flows, energy-efficient techniques and innovative product design can be found here. 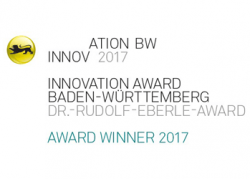 LTG Aktiengesellschaft is the winner of the Innovation Award of the state of Baden-Wuerttemberg, Germany 2017. The unique concept for decentralized, energy-efficient and space-saving ventilation, implemented in the breathing ventilation system PulseVentilation impressed the jury. 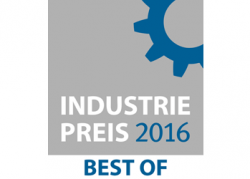 We are proud that the expert jury has awarded our product “Industrial Air Diffuser ILQsf” as Industry Award BEST OF 2016. The new air diffuser ILQsf, which for the first time enables energy-saving on-demand ventilation of factory buildings and production halls, impressed the jury, which awarded us to the top group of submitted applications. 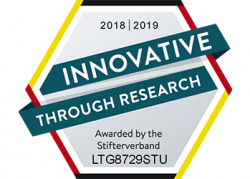 In the years 2018/2019 LTG has been awarded for special commitment to research and innovation by the German Stifterverband with the signet “innovative through research“.